My grandfather (Pop) was always the man who could fix anything. He had a tool for every job. When I was younger I could remember rummaging though his tools on a daily basis. When I became old enough to turn my own wrench and I had my own projects I began to inherit many of his tools. In the last few years his health began to rapidly deteriorate, so for Christmas this year I wanted to make him something so that he knew that I always remember where the tools I worked with came from. 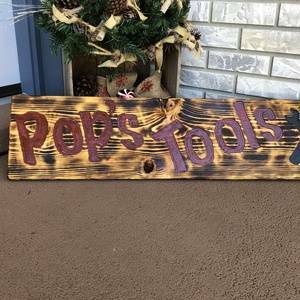 This carved sign was made with the Ryobi plunge router and diablo bits. Thanks for checking it out! Thank you! We used to do a lot in this style. I love the way it turns out, you'll probably be seeing a bit more of it in my projects! 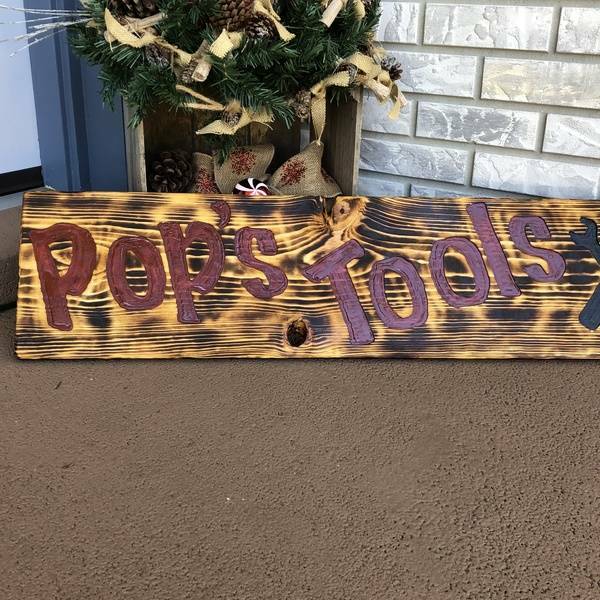 We absolutely love that you commemorated your Pop's legacy with this beautiful sign! Using tools to build, make, repair, and maintain is a great skill and tradition. Thank you so much for sharing this with us! Some of the most used hand tools in my box were passed down through the generations. I fully intend on keeping that going. People will always remember you for something, might as well be remembered for the things you've made and the work you've done!